​​I was first drawn into the marvelous Land of Oz when my father, who was gay, read the Oz books at bedtime to my brother and me. ​At about the same time, along with much of America in the late fifties, my family watched the 1939 Wizard of Oz film on our black-and-white television. My father began the bedtime reading with books he had kept from when he was a young boy. As a result of me loving the stories, Dad’s books that were originally in the living room migrated into my bedroom, I wrote my name on top of my father’s in the front of each of his books, and on my birthday I received a new book in the Oz series. ​​​When I was nine, I used the list of titles on the jacket flap of new Oz books to put my collection in order in my room. By the time I was in high school, I had become a serious collector, visiting the secondhand bookstores in Lower Manhattan. In one store, a bookseller showed me the catalog from a 1956 Columbia University Library exhibit on Baum. The addenda page stated that the twelve-year-old Justin Schiller had offered some unique items to the exhibit. This blew me away: a young boy was taken seriously as an Oz expert! I remember feeling that this kid was just like me. In 1992 I moved to Madison to begin teaching at the graduate library school at the University of Wisconsin. On the first day of classes I wore a T-shirt that some friends had given me, with the Scarecrow on the front and “If I only had a brain” on the back. In 1998 I discovered that a convention of the International Wizard of Oz Club was being held nearby, I had to attend. 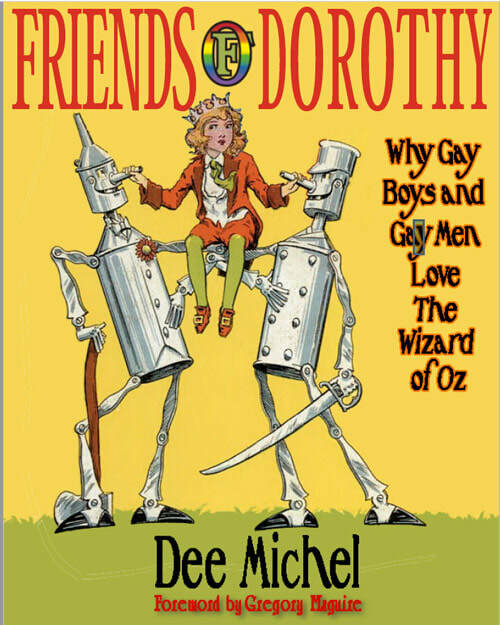 The MGM Wizard of Oz was a big deal in gay culture, I knew, but until the convention, I hadn’t realized that gay men were into the Oz books as well. I wondered if it was more than a coincidence that I was the one who had taken up my father’s collection of Oz books, not my heterosexual brother, who preferred science fiction to fantasy. When I mentioned to someone at the convention that it would be interesting to publish something on gay men and Oz in the club’s journal, he said, “That would raise a few eyebrows.” I took that as a challenge and decided to write figure what it was about Oz that made it so appealing for gay men. In 2000, on the centenary of L. Frank Baum’s birth, the Oz Club put on a huge celebration in Bloomington, Indiana, and I gave a talk on gay love of Oz. The gay attendees, who probably made up between a third and half of the audience, came to have their longstanding feelings confirmed and articulated. Some of the straight folks knew that Oz held a special place in the hearts of gay men and came to find out why. Others, who apparently had no idea there was a special connection between Oz and gay men, came out of sheer curiosity. The session itself was standing room only, with folks peering in from the hallway. After my talk people came up to me to say how much they appreciated it. A gay teenager who hadn’t particularly been an Oz fan, but attended the event with an older mentor, told me he could see himself becoming a real Oz enthusiast, and would attend other Oz get-togethers in the future. Perhaps my favorite response came from Alison Lurie, whose 1974 piece about Oz for the New York Review of Books was in my files. As a token of appreciation for my talk, she gave me an Oz centennial T-shirt of the Cowardly Lion. Driving home after the conference, I realized that the joyous acceptance of the topic by the Oz Club made me happy indeed. Although both of my parents had died years before, I had felt them looking over my shoulder in Bloomington: my mother was an author of children’s poetry, and my father was gay. Talking publicly about being gay and loving Oz, two acutely personal and important aspects of myself, had been a highly integrating experience. ​I already written much more than I could talk about in Bloomington, and decided to turn my ideas into a book. Since I was analyzing what gay men get out of Oz, I realized it was presumptuous not to talk to gay Oz fans directly, and created a questionnaire. To get at the sources of their fandom, I asked gay male Oz fans open-ended questions from many different angles, from when they first became an Oz fan, to favorite characters, and how they felt about the Oz-gay connection. 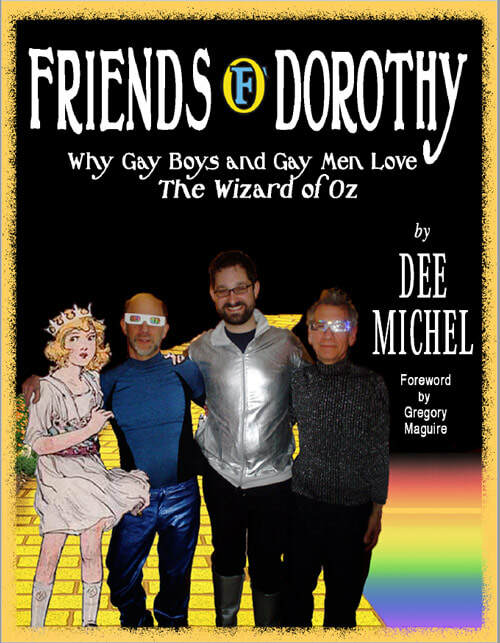 The book is based, in large part, on the responses of the 109 gay Oz fans—ranging in age from nineteen to seventy-one—who filled out the questionnaire. I have also drawn upon what gay men have written about what Oz means to them, as well as general writings about Oz, gay psychology, gay spirituality, and gay culture. After spending four years trying to find an agent and a publisher, I decided to go the self-publishing route. I hired a professional editor and a professional graphic designer, so I was confident my book would have quality control. One advantage of publishing the book myself was that I ended up having more say in both the editing and the design processes. At one point my brother, who is also a graphic designer, offered two ideas for the cover. While I ended up not using his creations, I marveled at the humor and attractiveness of what he did.